Five in a Row is a series of literature-based unit studies designed to create a love for learning. Social studies, science, art, language, and math are incorporated into the lessons. It is available at different age levels: Before Five in a Row (Age 2-4), Five in a Row (Age 4-8), Beyond Five in a Row (Age 8-12), and Above and Beyond Five in a Row (12 and up). Read more about it at the Five in a Row website. Comment: We really enjoyed Five in a Row in the younger years. The book selections and activities are great. If you have a preschooler, buy this and spend time reading and snuggling on the couch. The workbooks can wait! 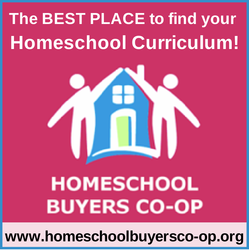 Comment: My All-Time Favorite Start for Homeschooling! Used in PreK-6th or 7th grade. Sometimes it's hard to find an Out of Print book, but Purple House Press is doing their best to bring those titles back into print~ so this is becoming less of an issue. It certainly isn't a reason to NOT purchase, because the number of books that are OOP are negligible, compared to the benefit of the entire program. Comment: We have used Five In A Row for several years and found it worked well all of the children we have used it for. After using this curriculum my kids would not let me get rid of most of the books and they are still in our home today. This curriculum is well set up and easy to use. We have used several different grades and all of the books used were good. Comment: Such sweet simplicity! In my children's first years of school these easy to use studies were a delight. Among the many out there The pureness of these books brought hours of endearing lessons to our home. I found that we had more actual enjoyment from them and it rarely felt like "school". Comment: Used in 1st grade for one year. Great Literature based program, we found a lot of stories that we now consider classics at our house. There is a lot of prep work I found if you wanted to give your child a well-rounded curriculum. Some of the books were unavailable, which are too bad really they looked like good books. But overall I would suggest it to anyone who likes a storytime type setting for your child. Which we did! I didn't do any more years do to the fact that it was hard to find some of the later books and the not a lot from a secular point of view. Great Literature based curriculum with lots of wonderful stories. Lots of resources for your child to work with. Can be pricey if you can't find books at library (some are out of print) Not very secular, some books were and but several were not. Comment: Loved FiaR! It taught my son's and I how to glean learning from every book we read.